Enjoy an exception variety of 11 golf courses, all located within the sunny Bay of Plenty and within half an hours’ drive of The Anchorage. Each course offers a unique challenge! No matter what your handicap, if you have had enough of the surf, sand and the bustle of café scene, grab your clubs and tee off for a relaxing afternoon at one of eleven beautiful golf courses all located within one of the country’s premier holiday destinations! 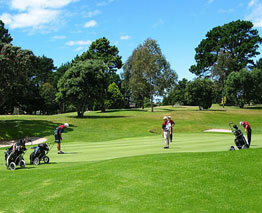 The Anchorage Apartments team are happy to assist in booking tee-off times. Contact us for more information.